JFOS vol 35 – Supp n. 1 – November 2017 | I.O.F.O.S. 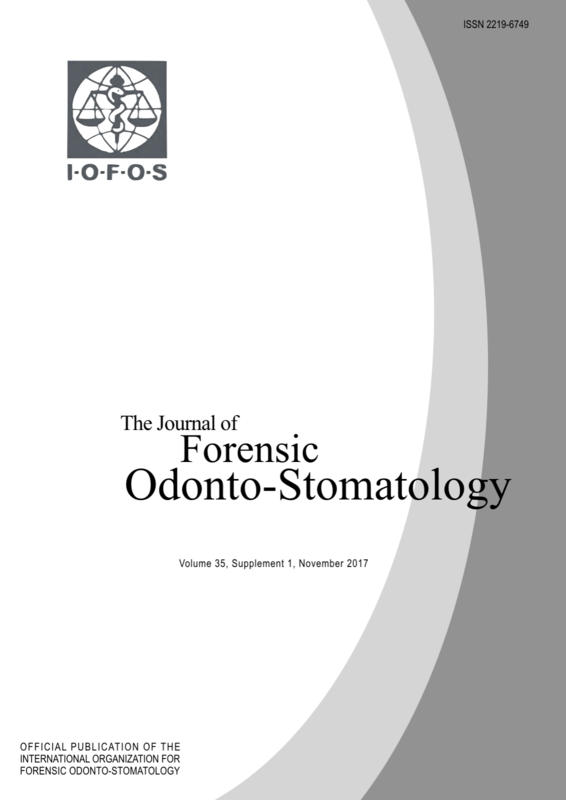 The Triennial IOFOS International conference took place in Leuven, 13-15 September 2017, and presenters and attendees from more than 40 Countries attended the conference, thus confirming that IOFOS symposia continue to represent the most important scientific event in the field of forensic odontology in the world. Scientific sessions were dedicated to very actual topics as the immigration flow towards Europe, age estimation in unaccompanied children, reports about the identification issues related to the most recent disasters and terrorist attacks and bitemark analysis and its questioned relevance in Court. About 10 keynote lectures, more than 45 oral presentations and 70 posters fostered the conference and contributed to meaningful discussions during the sessions and even in the breaks between sessions. The many presentations encompassed scientific researches, discussion papers and case reports and well-known academics and extensively experienced odontologists and young students and professionals went on stage. 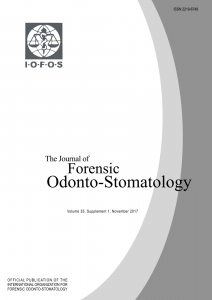 This supplementary issue of the Journal of Forensic Odonto-Stomatology (JFOS) is dedicated to collect the abstracts of oral presentations and posters accepted at the IOFOS Conference, Leuven 2017. The affiliations and email contacts were released by almost all presenters and are included in the abstracts; this will facilitate contacts and networking and hopefully could lead to a meaningful prosecution of some joint researches. The supplement will not include the presentations related to the updating procedure of the IOFOS Guidelines on Quality assurance, since it is a separated ongoing cultural process and will be appropriately presented as soon as the revision procedure of the guidelines will be completed. The issue 2- 2017 of the Journal will be published online soon and it will collect the full-texts of those presentations that were submitted to the Leuven meeting and accepted for publication after a blind revision process. The conference in Leuven was very successful and the IOFOS Board and the current Editor of the JFOS hope that the effort put in the publication of the full-text papers, mainly thanks to the former Editor of JFOS and organizer of the IOFOS conference in Leuven, Prof. P. Thevissen, and the supplement that gathers all the abstracts, will contribute to the scientific advancement and to establish contacts inside the worldwide forensic odontology community.